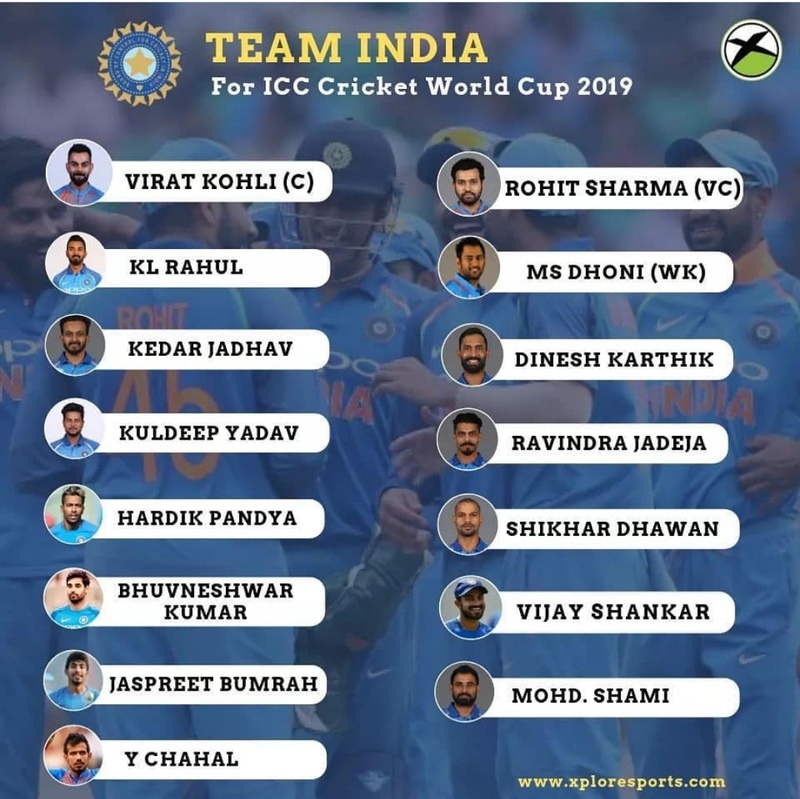 Is this Indian team the best 15 possible? 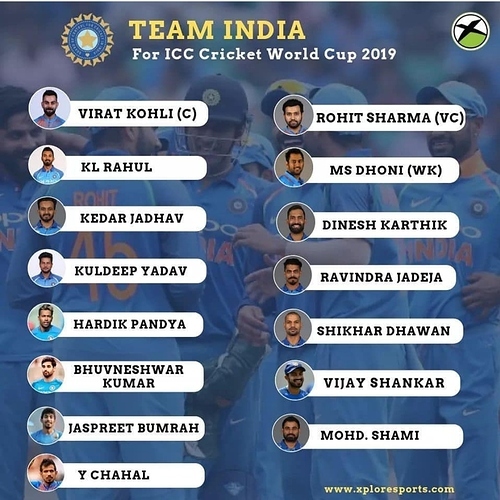 This way India team would have 4 pure bowlers 1 good enough bowler in hardik and two part timers in Vijay Shankar and kedar jadhav. Overall i loved the team structure. Anybody else with me? Somebody feels that there could have been a few changes? Somebody who missed out? Someone who was lucky to get in? Personally i don’t have any qualms with that side. I would have preferred Pant over Karthik but i do understand the reasoning behind Pant’s exclusion. Karthik/Pant will only play if Dhoni is injured and in that case, Karthik’s keeping is more reliable. Probably the best squad on paper. On paper the team looks very competitive to win the World Cup. We have a fixed 11 and Karthik is just a standby player who will only be used if Dhoni is given rest for matches against underdog teams. Keeping in mind the conditions in England we have a pretty good bowling line up. Middle order is sorted with Jhadav and Pandya taking control. I see Team India atleast qualifying for the semis and then displaying their best game. Let the team #DoitforDhoni and bring the world cup after 8 years. I think Umesh Yadhav should have been there in India team squad looking at English Condition. Bowlers will get more swing and bounce. Looking into British conditions Middle order needs goods batsmen who can control the innings and score runs. Apart from Virat I don’t see anyone like Rahul Dravid. Ajinkya Rahane would be good choice. Technically he is good batsmen who can score quickly and his running between wickets is better. if anyone of them are injured. Rayudu had a chance to come in .